Established in 1985, Beitar Illit is Israeli settlement and city west of Gush Etzion and west of Bethlehem in the Judean Mountains of the West Bank (occupied teritories). The settlement is located inside the constructed or planned fence route. Beitar Illit is a second largest Jewish settlement and city of the region, with over 34.427 residents(2007). By 2020, the population is expected to reach 100.000, and extensive building projects are underway. It is known as “The Torah city of the Judean Hills” and is an exclusively ultra-Orthodox town. 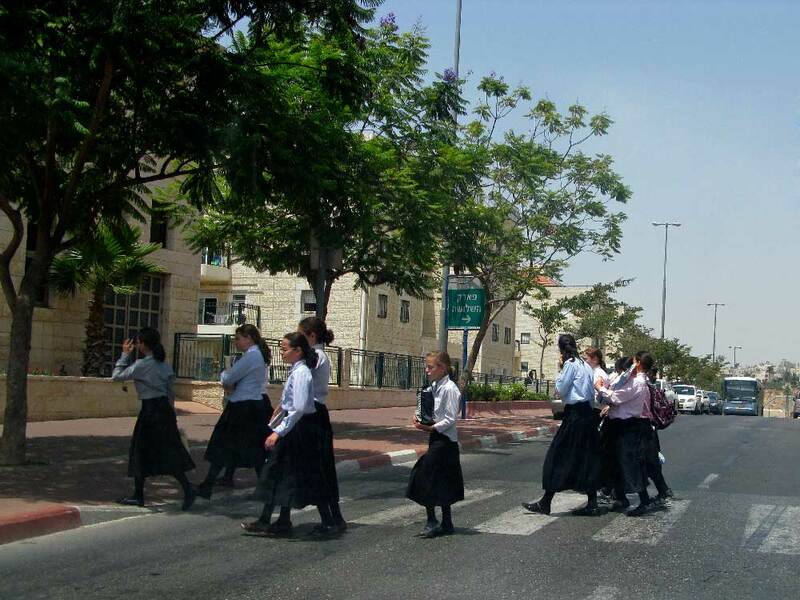 All the educational facilities are ultra-Orthodox. Like other settlements within the Israeli occupied territories Beitar Illit is widely considered as illegal under international law, though Israel disputes this. Nearby Palestinian villages are Hussan and Wadi. Palestinians living in occupied or annexed land are still able to farm their land orchards and vineyards), but this number is decreasing every year, and farmers live in the knowledge that their land is under constant threat.